A simplified nonlinear fiber-based finite element model of steel-concrete partially composite beams utilizing channel type mechanical shear connectors is developed in OpenSees framework. The interaction between steel beam and concrete slab is accounted for by introducing nonlinear zero length elements and rigid links. The channel shear connector response used in numerical models is based on the previously obtained experimental response from pushout tests. Accuracy of the numerical models in predicting the response of beams is verified with the results of the previously conducted composite beam tests. The numerically predicted response agrees well with the experimental results over the entire range of load-deflection curves for both the fully composite and partially composite beams. The numerical models are also able to accurately predict the interface slip between steel beam and concrete slab when compared to the experimentally determined slip values, as well as the closed form slip predictions. 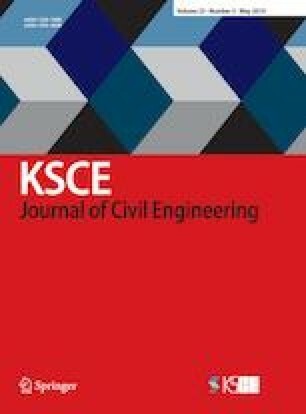 Analysis results allowed the investigation of how the influence of steel and concrete damage is reflected on the overall loaddeflection response of composite beams.